From Trinkete Hostel in Lekeitio you can make different trips around the captivatingly beautiful corners of this region. 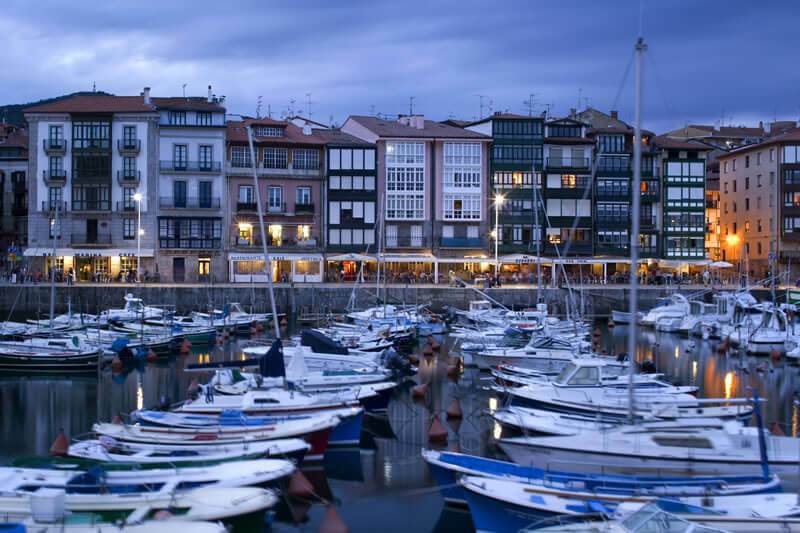 Wander the streets of the historical quarter of Lekeitio, discover the wonders of nature at the Urdaibai biosphere reserve or visit cities such as Bilbao and San Sebastián. We can tell you all you need to know. We’re right in the middle of everything! Delve deeper into history and discover the fishing and artisan traditions of Lekeitio: a heritage which lives on in the town’s tower-houses, churches, palaces and convents. This stunning route can also be undertaken with an audioguide. Enjoy beaches such as Karraspio, Isuntza and other wilder areas, sample some tasty pintxos in the bars around the port area, fall in love with the views from La Tala or wander up to the Santa Catalina lighthouse while taking in the spectacular views of the Cantabrian Sea. Lekeitio presents the visitor with stunning landscapes, traditional local cuisine, an uplifting atmosphere and an interesting cultural agenda filled with local fairs, street theatre, exhibitions and popular festivals. The River Lea estuary – wild, fast-moving and crystalline – divides Isuntza beach from Karraspio beach. There, we can see San Nicolás Island: looking for all the world like it wants to free itself from the coastline and drift off towards the horizon. The port, the sailors’ quarter and the majestic Basilica of the Assumption of Mary all evoke the sea, and then the forest opens up immediately, climbing the hills of Otoio and Lumentza and splashing the area with the gold and ochre tones of the leaves in the autumn months. The stunning natural landscape in which Lekeitio is set is reason enough to come for a visit. However, the streets of the historical quarter of the town – founded in 1325 – provide the opportunity to enjoy a rich artistic heritage. The historical quarter of Lekeitio is divided into two neighbourhoods: the artisans’ and traders’ neighbourhood and the sailors’ neighbourhood. The Basilica of the Assumption of St Mary, which presides over the port area, replaces an older, possibly Roman, basilica which was consecrated in the year 1287. St Mary’s Basilica is a magnificent example of the late Basque Gothic style. Visitors to the interior of the basilica will find an excellent Gothic-Flemish altarpiece which was completed in 1514. Bathed in gold, it is considered to be the third-largest in Spain after the altarpieces in the cathedrals of Toledo and Seville. The church of the convent of Santo Domingo is a Gothic-Renaissance building dating back to 1535. Its interior houses two chapels: the first is in the Gothic style, dating from the beginning of the 16th century, and the second is in the Baroque style, dating from the 18th century. Uriarte Palace, a Baroque-Classical construction from the 17th century, guards an old house-tower from the end of the Middle Ages that rises up above the rooftop. The Council House is a Baroque building which was completed in the 18th century. It is also important to draw the attention to Oxangoiti and Arostegi palaces, the Turpin and Dorre Zaharra towers, the old Fishermen’s Brotherhood, Arranegi Square, Abaroa Palace and the remainders of the medieval wall. And of course, it would be impossible to overlook the Hermitage of San Juan Talako, which features stunning views of the Bizkaia coastline. As can be expected given its location, the area has always been intimately linked with the sea and has spawned sailors, pirates, whale fishermen and traders, all of whose memory lives on in the Maritime Visitor Centre, in visits to the Santa Catalina Lighthouse (the only one of its kind to be open to visitors in Euskadi), the Sosoaga wine press and the Marierrota tide mill. San Nicolas Island, or Garraitz Island, deserves a special mention as this island is located just opposite the town centre. It is partially joined to dry land by a dam which was built to prevent river sediments from entering the port area and which is only visible during the low tide; the island can also be accessed via the beach when the tide is very low, turning the island into a tombolo. Many different cultural and athletic activities take place during the summer months, among which it is worth highlighting the International Street Theatre Festival in addition to different classical and rock music festivals and boating regattas, as well as agricultural and artisan fairs. Many of these events continue to take place in the autumn and in the other months of the year. Our location is also perfect for many different types of sports, especially water sports such as canoeing, surfing, sailing and diving, and activities in the great outdoors, such as horse-riding, mountain biking and hiking. In terms of culinary traditions, highlights include fish and seasonal produce in addition to a wide range of pintxos: these are guaranteed to delight the palate. There are many high-quality shopping opportunities available, covering everything from fresh produce (fish and locally-grown products) to shops selling clothing, decorations and artisan products. 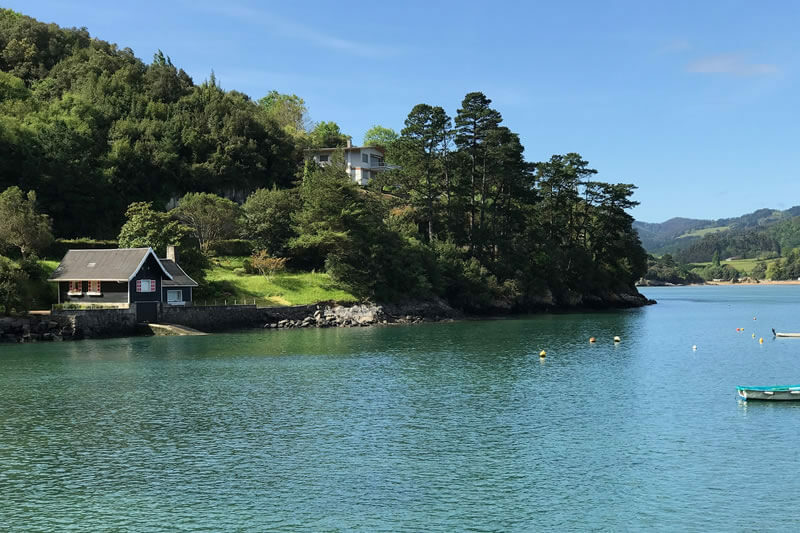 Lekeitio connects to Gernika, passing by Ispaster, featuring the beautiful surfing cove of Ogella Ea and the striking Elantxobe and Ibarrangelua coves. The inland area of the region conceals charming towns such as Amoroto, Gizaburuaga, Aulesti and Munitibar. Moving in the direction of San Sebastián and following the coastal highway, the visitor will come across the town of Mendexa. Take some time to stop and enjoy the landscape, the people and their customs. And follow Isabel II’s example: return to Lekeitio..
Lekeitio observes the patron saint celebrations of San Antolin from 1 to 8 September. Of all of the events on the festive calendar, the ‘Fiesta de los Gansos’ or ‘Geese Festival’ really stands out. On the day of 5 September, tens of thousands of people gather to see the young people’s challenge: these compete to see who can best resist being dragged from the water of the port while clutching the tail of a goose (this tail has been synthetic for many years now). Travellers arriving at the end of June, on the other hand, will have the opportunity to enjoy the San Pedro fiestas. During these festivals, the traditional ‘Kaxarrankka’ dance is celebrated. Here, a dancer will dance upon a chest resembling a coffin which is held upon the shoulders of eight sailors. The village of Lea was a place of pilgrimage for members of the European royalty from the mid-19th century up until the 1920s. 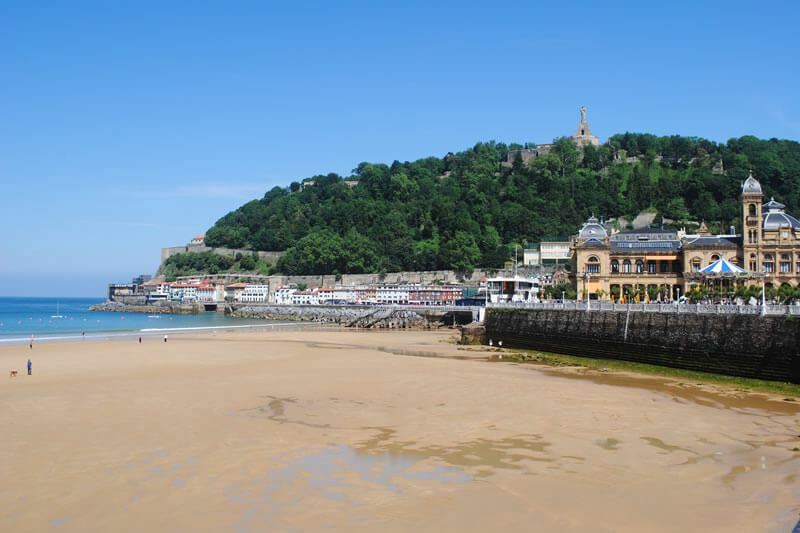 It was from the beaches of Lea, and not those of Donostia as is still incorrectly stated in some encyclopaedias, that Queen Isabel II left for exile in 1868 following the success of the revolution known as ‘La Gloriosa’ or ‘The Glorious One’. She returned to Lekeitio in the summer of 1883 as the mother of the main figure of the Bourbon ‘Restauration,’ Alfonso XII. In 1922, it was the Italian Zita de Borbón-Parma, the last empress and queen consort of Austria-Hungary, that settled in this Bizkaia town. With her came her children and María Teresa de Borbón y Habsburgo-Lorena, the infanta of Spain and princess of Bavaria. Zita and her eight children remained in Lekeitio for almost a decade and as representatives of the European nobility they would frequently visit the imperial family, turning their seaside strolls into real displays of old-fashioned glamour. In October 1929 Zita left Lekeitio along with her children and entourage and was never to return. By that time, Archduke Otto of Austria, the crown prince, was able to understand and make rudimentary attempts at speaking the Basque language that his former school friends and neighbours had spoken. 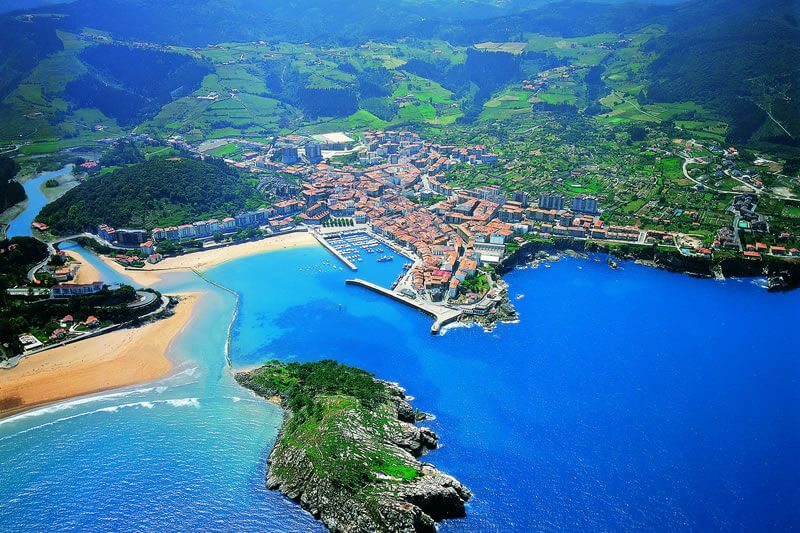 Lekeitio is located close to one of the most beautiful stretches of the Cantabrian coastline. Fans of surfing, water sports and adventure sports have countless exciting possibilities: Mundaka, with its legendary left wave which ignites that imagination of surfers in every corner of the world; Urdaibai nature reserve, Gernika-Lumo, a potent symbol of Basque culture, and the Oma painted forest by Agustin Ibarrola. It is also well worth visiting the beaches of Laga and Laida in Ibarranguelua as well as coastal towns such as Ispaster, Munitibar, Amoroto, Elantxobe and Ondarroa. Urdaibai is a natural area that has been declared a UNESCO Biosphere Reserve. On reaching Mundaka it becomes an estuary, creating marshland areas that are bursting with life. At the Urdaibai Bird Center, visitors can see the osprey, the spoonbill and the bittern. Approach natural lookout points such as El Peñón de Ogoño (‘The Rock of Ogoño’) or the hermitages of San Pedro de Atxarre and San Miguel de Ereñozar. You can also spot Izaro Island and Matxitxako Cape and enjoy the climb up to San Juan de Gaztelugatxe. And don’t forget to visit Madariaga Tower, the fishing villages of Bermeo, Elantxobe and Mundaka, the Caves of Santimamiñe and Oma Forest. The lively city of Bilbao is filled with attractions and activities. 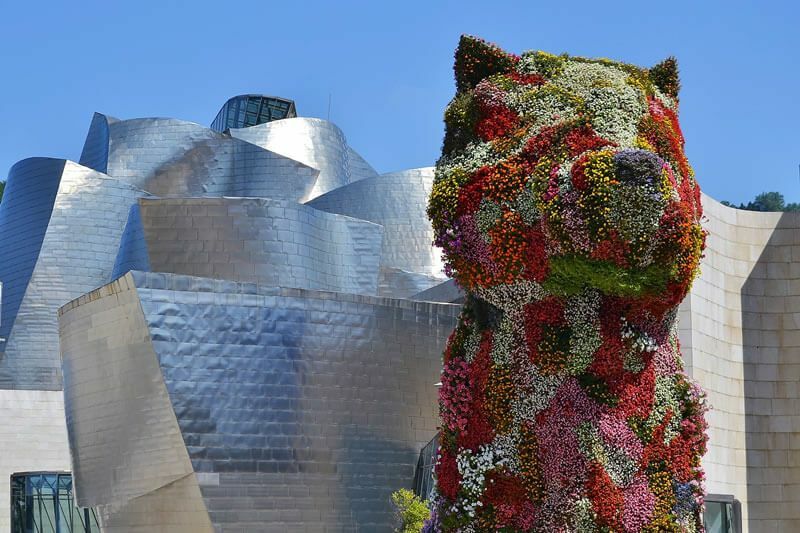 These include everything from the Guggenheim Museum to the Historical Quarter, from the Portugalete Bridge to the Begoña Basilica, not to mention the exquisite Basque cuisine that is at its finest in Bilbao. Donostia/San Sebastián is much more than just La Concha Beach, Monte Igeldo and El Peine del Viento. The inner streets of the city hide everything from palaces to enchanted forests with caves and waterfalls. In these areas, you can experience the true essence of Donostia: of stumbling upon magical hidden corners, of enjoying traditions such as the pintxo-pote and of discovering the past and the present, but also the future. If you prefer something a little more energetic, such as getting involved in active tourist activities, you can check our “Trinkete Hostel activities” section.